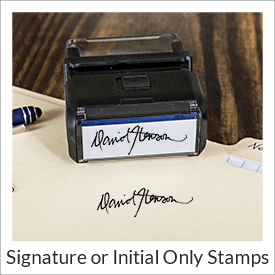 Signature Stamp, Initial & Signature Stamps - Ships Next Day! 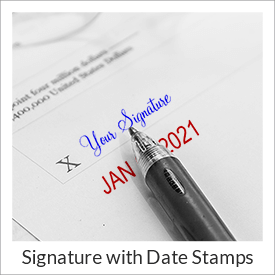 SimplyStamps.com offers professional signature stamps to make signing checks and documents quick and easy! We can customize a traditional wood handle style or self-inking stamp with your signature. 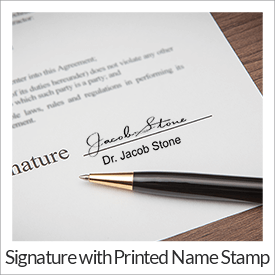 Save time while signing documents and allow authorized team members to sign on your behalf with one of our custom made signature stampers. 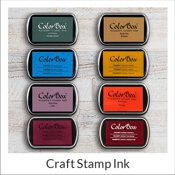 Ordering your stamp is easy! First, select the type of stamp you want, either wood handle or self-inking. 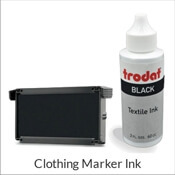 Second, use a black pen or fine tip permanent marker to sign your name. Don't use underlines or overlapping letters. Keep it as clean and simple as you can, so that your stamp impression is easy to read. Third, once you have selected the specific stamp you want to order, upload your signature using the "upload file" button. Sign your name on plain white paper. Use your normal signature, which will be resized to fit the stamp. 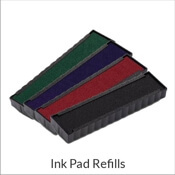 Use black ink and avoid ballpoint or gel ink pens. Upload your signature file in a .jpg or .pdf file format. 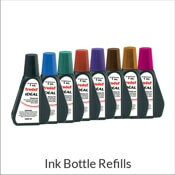 At SimplyStamps.com we have handled thousands of signature re-creations and we guarantee that your stamp will turn out perfectly. All you have to do is upload your signature and we take care of the rest!